TALive Weekend Picks 7/11-7/13: The Little Mermaid, Love Canon, SUNDAZE, and more! It’s a beautiful weekend for getting out and enjoying the weather! Check out one of these awesome events and soak it all in. The fresh, touching, and hilariously funny story of lovers Doris and George, married – to other people – who meet by chance while on separate business trips in 1951. The pair vow to rendezvous each year in the same place, and end up finding a connection that transcends the initial spark of passion to span a quarter of a century’s worth of love, loss, joy, conflict, but ultimately a common ground that sustains their unique friendship. Same Time, Next Year is a delicious tryst about the complexities of human relationships and the phenomenon of love. Protip: Same Time Next Year shows every Wednesday through Sunday until August 3rd, so get in while you still can! Gather up the kids and enjoy a magical family outing to The Fox Theatre to see the timeless tale of The Little Mermaid live! 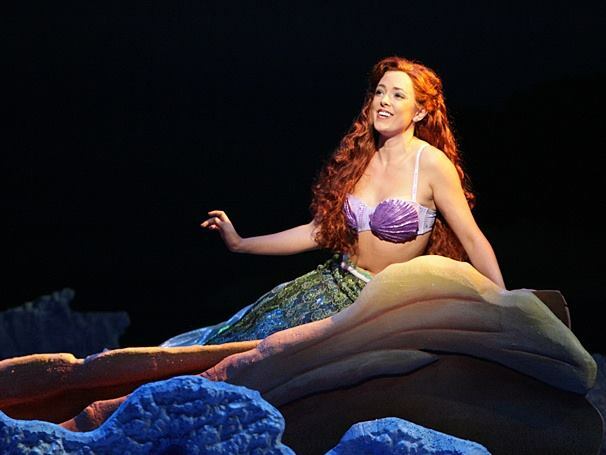 Protip: This is the last weekend for The Little Mermaid at the Fox Theatre. It shows once on Friday and twice on Saturday and Sunday. Where: The State Theatre in Washington, D.C.
Retro funk mob Midnight Spaghetti & The Chocolate G-Strings has been satisfying discriminating dancers with monster grooves since January 2003. Their blend of classic funk, conscious frenetic rap, a killer horn section, and a contagious enthusiasm for life left people wondering what planet they came from, but more importantly, how they could get on that mothership. In May 2013, flautist Althea Rene released her fifth project “In The Flow”, collaborating with Grammy award winning producer Michael Broening; (producer for legendary icons George Benson, Marion Meadows, and Paul McCartney) . The title track became her hit single and reached a number one ranking on both the Billboard Chart and the Smooth Jazz Chart making her the first flute player in the history of Billboard Chart to reach the number one spot. A special concert to benefit Orbit Arts Academy Training Programs. Featuring Broadway’s Shoshanna Bean (R&B Recording Artist, Wicked, Hairspray, Godspell, ), Brad Bass (Jersey Boys, Memphis, Wicked), Anthony Galde (Wicked, Tommy, Joseph…Dreamcoat), Lisa Howard (Spelling Bee,Les Miserables, 9 to 5,South Pacific), Judith Franklin, Kevin Crewell (Spamalot, Jersey Boys, Drowsy Chaperone) and Ethan Le Phong (Mama Mia, Miss Saigon). Join us for Disney Junior Live On Tour! Pirate & Princess Adventure at The Classic Center Theatre on Sunday, July 13 at 1 p.m. A never-before-seen live show featuring your favorite characters from Disney Junior’s, Sofia the First and Jake and the Never Land Pirates. Special bonus! Starting 10 minutes before every performance join Doc McStuffins for a special pre-show! You can help Doc take care of one of her beloved toys with her own special brand of love and magic. Soak up the sunning season with SUNDAZE: keeping Atlantans cool during the dog days of summer – inviting friends and neighbors to sip signature cocktails at the WET bar, dip in the infinity pool and indulge in Sunday jam-sessions with the hottest DJs in town. There’s nothing like a summer in the city, and with W Atlanta – Buckhead’s SUNDAZE day pass, you’ll be having hot fun in no time. It’s not every day that a dinner with friends risks a murder accusation. However, that’s a good possibility for the guests of Murder at the Mardi Gras, who will find themselves in the middle of an investigation for which any one of them could stand accused by a hapless detective. During each interactive dinner, our troupe of professional improv actors will ignite the second floor area with entertaining outbursts and hilarious one-liners in an effort to divulge clues and redirect guilt. Meanwhile, our guests will work together to sniff out the real culprit, which is definitely not the school janitor in a mask (or is it? ).